The Director General of the Nigerian Tourism Development Corporation (NTDC), Mr. Folarin Coker has said that for international tourism market to grow, Nigeria needs a strong domestic market because domestic tourism is the only form of sustainable tourism. Coker made this remark during his keynote address which had the theme “Maximizing the Potentials of the Hospitality and Tourism Industry: The Role of the Government” at the just concluded Nigerian Hospitality and Tourism Conference which held in Lagos, organised by Jumia Travel, the leading online travel agency. “The bedrock of tourism is not the big footprint of foreign brands but rather, the many cottage industries manned by passionate indigenes. That is what allows tourism be the largest employer of labour in the world, even over the oil industry,” Coker added. Meanwhile, the managing director of Jumia Travel Nigeria, Omolara Adagunodo, in her welcome remark stated some of the laudable initiatives the online travel agency has embarked on as part of efforts geared towards promoting travel and tourism within the country. According to her, at the time the company was entering the market some 5 years ago, it was noticed that data on the travel industry was not available. The company therefore took it upon itself to invest in the production of such data every year. “In the last five years of our existence as a company, we have been involved in notable endeavors that sought to move the industry forward. One of the very first things we noticed at a time was the lack of data in the travel industry. As you all know, data is indeed crucial to the planning and development of any sector. So, we took it upon ourselves to invest in the production of a report on the Nigerian hospitality industry. 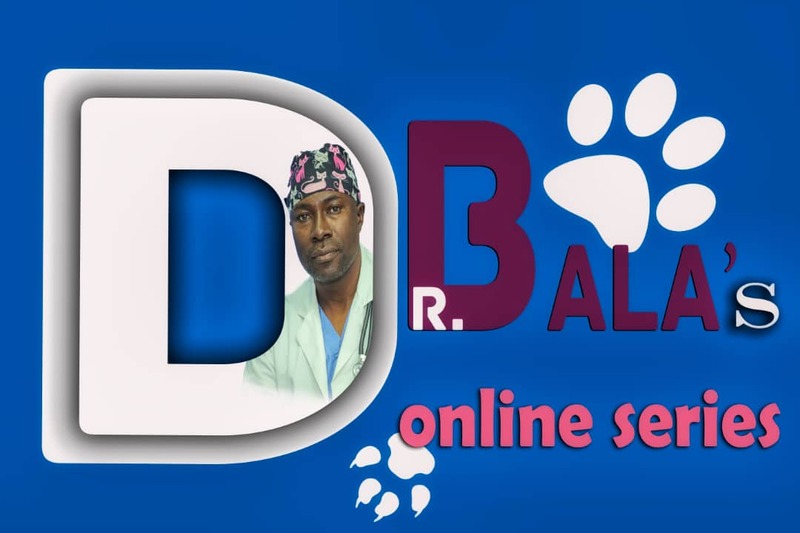 We produce this report yearly in every African country we have our operation,”Adaogunodo said. The conference had two panel discussions with relevant travel practitioners as panelists. The theme “Using New Media to Merchandise Major Nigerian Sites, Destinations & Places to Drive Tourists Footfall” was discussed by Chiamaka Obuekwe, Founder of Social Prefect Tours; Funmi Oyatogun, Founder of TVP Adventures; Wonu Lamidi, CEO of Diamond & Pearl Tours; Lola Daniyan, Founder of Unravelling Nigeria; and Michael Balogun, Founder of Tour2Nigeria. “Managing Current Hotel Trends to Anticipate Future Customers Needs” was the theme of the second panel discussion which had Damilola Koya of Eko Hotel & Suites; Anthony Shisler of Fahrenheit; Omolara Adagunodo of Jumia Travel; Jeff Fischer of Welcome Centre Hotels; and Paul Okojie of Golden Tulip. 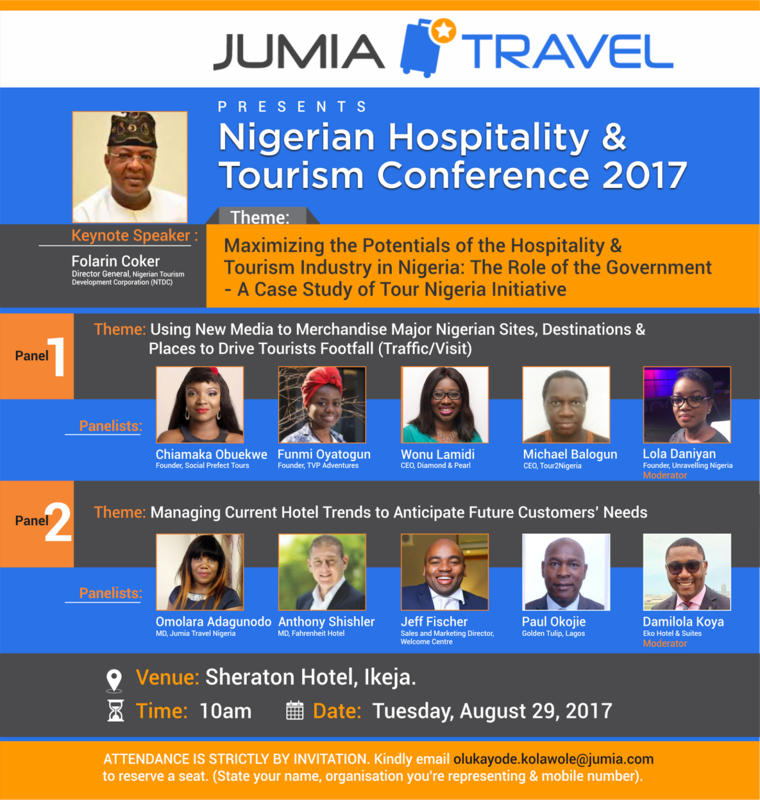 The Nigerian Hospitality and Tourism Conference is a yearly event being organised by Jumia Travel Nigeria. Its objective is to bring the key players in the industry together to share knowledge and information with the growing circle of travel and tourism enthusiasts in the country. It’s a free to attend event. Jumia Travel (travel.jumia.com) is Africa's No.1 hotel booking website, allowing you to get the best prices for more than 25,000 hotels in Africa and more than 200,000 hotels around the world. At Jumia Travel, we have hundreds of travel specialists constantly in touch with our customers. Our offices are located in Lagos (Nigeria), Accra (Ghana), Dakar (Senegal), Abidjan (Ivory Coast), Algiers (Algeria), Douala (Cameroon), Kampala (Uganda), Dar Es Salaam (Tanzania), Nairobi (Kenya), Addis Ababa (Ethiopia), Porto (Portugal) and Paris (France). Before June 2016, Jumia Travel was known as Jovago. Jumia Travel was founded in 2013 by Jumia and is backed by MTN, Rocket Internet, Millicom, Orange, Axa and financial partners.